If you're looking for high quality and personal service, you've come to the right place. At Plumbco Services, LLC we'll give you the attention and personal service you'll come to expect and enjoy. We offer the best in residential plumbing service and repair. We are friendly, uniformed, background-checked, insured and trained in the latest technology. You'll know the price before the job, that way there are no surprises when the job is completed. 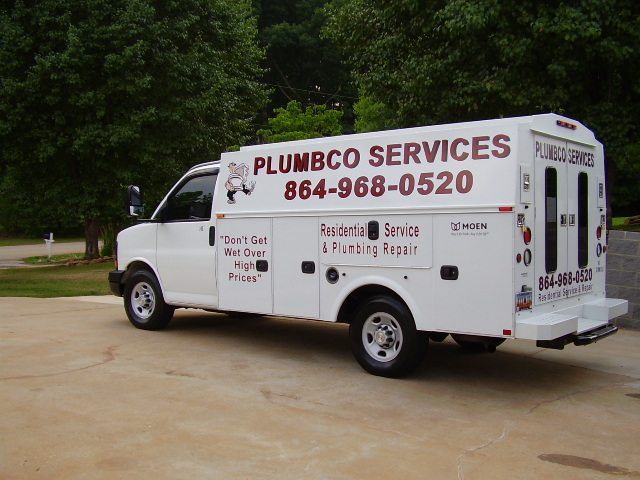 Plumbco Services, has been located in Greer, South Carolina since 2006. Let us put our experience to work for you. "Don't Get Wet Over High Prices"